Chicago's population grew tremendously throughout the mid-to-late 19th century. 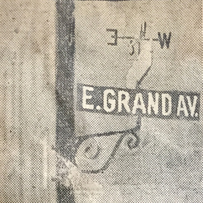 There was hardly an effort to standardize street names and addresses until Edward Paul Brennan came up with a plan. .
Edward Paul Brennan in 1910, who devoted his life to crafting a perfect plan for Chicago street nomenclature. James Thompson's plat map of Chicago, 1830. Jessica Fisch and Paul Toben are engaged to be married this fall. But before the two new arrivals to Chicago start a new life in a new home, they want to solve a mystery with roots in the city’s early history. 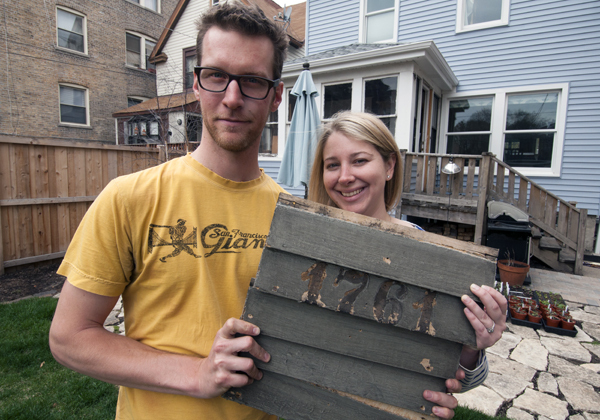 Toben and Fisch bought a house in the Edgewater neighborhood last year, and they’ve been fixing it up since. But they discovered something odd about the address displayed on their siding. That number, barely visible in the 110-year-old wood, reads 615. Fisch and Toben aren’t the only Chicagoans with two house numbers — in fact, any building in the city built before 1909 probably had a different number than it does now. These are the result of a massive shift in how the city handles street names and addresses. Today Chicago is known for having one of the simplest street systems of any big city in the world, with every address emanating out from a central origin point at the intersection of State & Madison Streets. It wasn’t always going to be that way, though, and many people fought the change. But Edward Paul Brennan, an unsung hero of urban planning, spent much of his life taming the navigational chaos of Chicago’s adolescence, and his legacy lives on more than a century later — even if few people know his name. So answering the “when” of our questioners’ inquiry is easy: September 1, 1909. 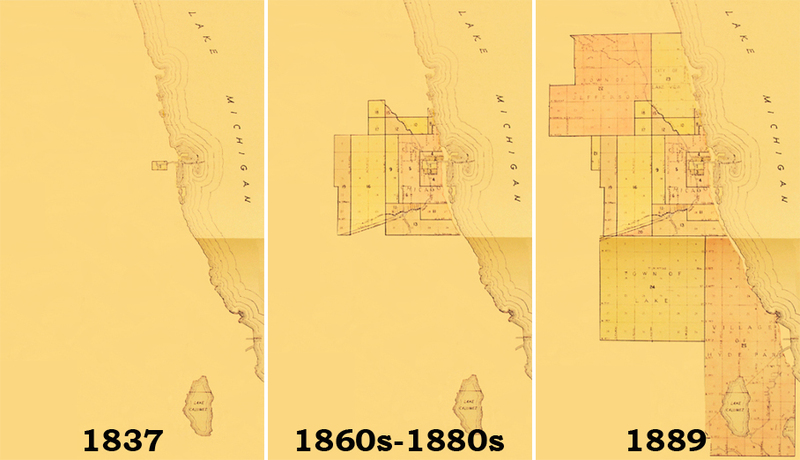 But to answer “why,” we need to go back to some early Chicago history, when a map of the city looked very different. Chicago was booming in the late 19th century, gobbling up neighboring towns and annexing them as new neighborhoods of the city. Hundreds of thousands of European immigrants poured into the city, helping triple the city’s population between 1880 and 1910. It ballooned in both population and physical size, quadrupling in area in 1889 alone. “That was great for those communities because they got the promise of a good infrastructure, but it also created logistical problems obviously for managing a city that size,” says Andrew Oleksiuk, secretary of the Illinois Postal History Society. Every town that folded into Chicago, from Lake View to Hyde Park, had its own system for naming and numbering streets. Some towns counted out addresses starting from the Chicago River, while others started from Lake Michigan. Some placed even numbers on the north side of the street, others put them on the south. Some even let developers choose their own street names or numbers if there wasn’t a lot of local opposition. 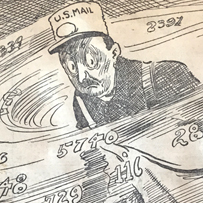 Oleksiuk says the topsy-turvy numbering system contributed to mailmen’s struggle to keep up with changing tech, such as the telegraph, streetcars and a new entrant: the telephone. As city limits swallowed up existing towns, no one bothered to standardize street names and addresses. Not surprisingly, this system frustrated Colonel LeRoy D. Steward, superintendent of city delivery for the Chicago post office, who spoke at an Industrial Club meeting in April 1908. Such critiques emerged alongside the so-called City Beautiful movement, whose proponents believed societal ills would evaporate with the development of rationally designed cities. Private groups like the City Club and the Commercial Club banded together to improve the city, promoting ideas like Daniel Burnham’s famous Plan of Chicago, which was published in 1909 — the same year Brennan’s system for rationalizing city addresses first took effect. Celebrated architects and engineers built the Loop, standardized the city’s cable car system and carved out green spaces that we still use today. But the elegance of our street system is taken for granted. It wasn’t a postal worker or even an urban planner that smoothed out the system. It was a man named Edward Paul Brennan. Brennan was a delivery boy for his father’s grocery store, and later a bill collector for the music company Lyon & Healy. 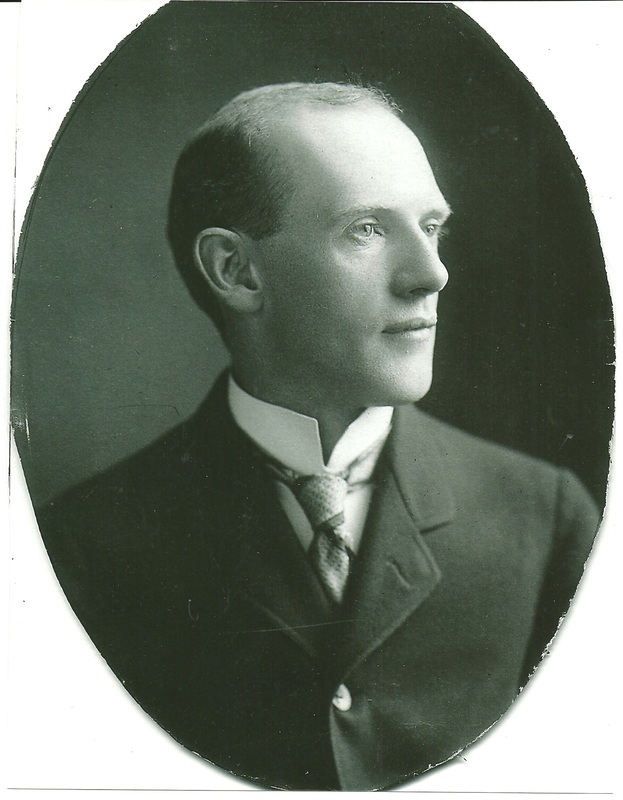 He was so frustrated with the chaos of Chicago’s address system that in 1901 he came up with his own. But it would take him years to get it implemented. Brennan wasn’t the first person to recognize the problem, but he was the most persistent at arguing for a solution. As early as 1879, the Chicago Daily Tribune reported on an ordinance for renumbering South Side streets based on Philadelphia’s plan, where addresses increased by 100 with every block. It didn’t pass. “So let us go forward with the spirit that built the World’s Fair, correct our error and present the people of Chicago with a perfect house numbering plan,” he said in one of many letters lobbying Chicago aldermen and local business leaders. With the help of an independent alderman named Charlie Byrne (who happened to be Brennan’s cousin) he presented his “Street Nomenclature Plan” to the City Council in 1901. 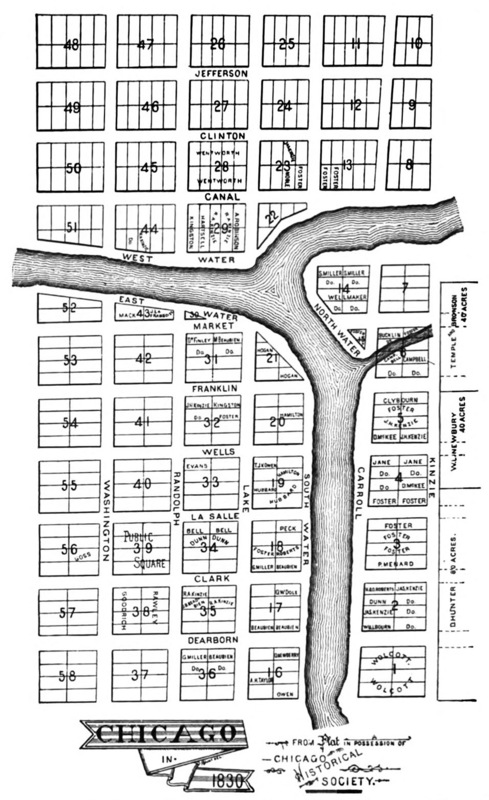 It included four big ideas: All addresses would be centered around a 0,0 point at State and Madison Streets; street names would include the direction; even-numbered addresses would always be on the west and north sides of any street, with odd numbers on the east and south sides; house numbers would increase by 800 (or 8 blocks) every mile, although Brennan had originally proposed 1000 addresses per mile. Brennan’s plan would also involve renaming many streets in order to cut confusion caused by duplication and other problems. After his initial proposal, Brennan argued that Kinzie and State should instead be the new 0,0 baseline street, in honor of early settler John Kinzie. Alternate plans from other map enthusiasts proposed Western and Madison, because of its proximity to the geographic center of the growing city. 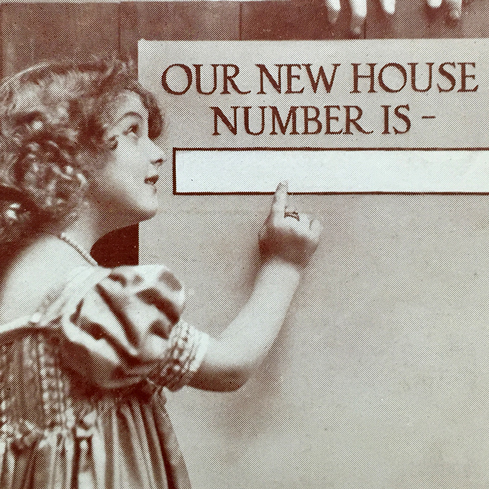 After more than seven years of petitioning, the City Council passed Brennan’s house numbering plan in 1908 and it went into effect on September 1, 1909. Businesses within the Loop fought the change early on, arguing that — among other things — it would cost too much to reprint their stationery. They received an extra two years to adopt the same system as the rest of the city. The process of converting the address of nearly every household in Chicago was a daunting task. Newspaper accounts in the days and weeks leading up to the mandatory changes indicate confusion, resignation, and also humor. City directories published maps and thick new guides that residents and businesses could purchase, listing every old address and its new equivalent. 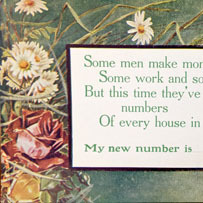 Residents sent illustrated postcards with poems or cartoons to friends, notifying them of the change. Trouble lived beyond the initial confusion, though, as some people actively fought the change. 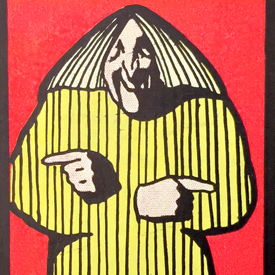 Above: Postcards and newspaper clippings show the humor and confusion the city felt after the house number changes. Click on an image for large view. Some residents banded together, lobbied their aldermen, and fought the city’s proposed street name changes. Under Brennan’s plan, the tiny streets of Arlington Place and Deming Place in Lincoln Park should have been renamed as Montana Street and Lill Avenue, because they aligned east to west with those longer streets, despite not having a continuous block of streets. But even after the city-wide address renumbering, Brennan’s work wasn’t done. For the next 30 years he rooted out duplicate street names and inconsistencies, lobbying incessantly as part of the City Club’s two-man Street Nomenclature Committee. “It is for us of the present day to continue the work so well begun by the pioneers of Chicago instead of being looked upon as iconoclasts by future generations,” he said in 1913. "With a history rich in meaningful names there will be no need of our innocent thoroughfares being rechristened Hinton, Dunmore, Dennison, Empire, or Limerick." As always for Brennan, it was a matter of historic importance. "We are about to do something which will last as long as Chicago does,” he wrote. After the initial disruption caused by the changes, Chicagoans eventually appreciated the relative simplicity of the city&apos;s new street names and addresses. But Brennan’s name was largely forgotten in the years after his death in 1942. His daughters wrote to newspaper editors and the city’s map department attempting to have their father’s work recognized. Five years later, City Council named a South Side street in his honor: South Brennan Avenue runs from 96th Street south to 98th Street in the Jeffery Manor neighborhood. 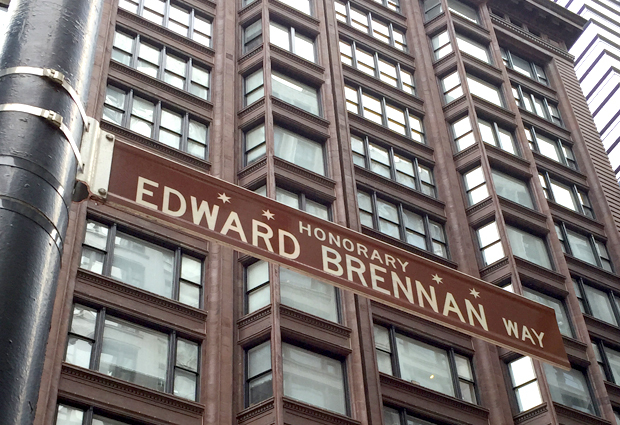 At the time the city publicly acknowledged the elegance of Brennan’s system, noting “There are now fewer street names in Chicago than in any other city in the country of even one-half the area of Chicago." Chicago had 3,629 miles of streets with just 1,370 names — far fewer than other cities with smaller geographical footprints at the time: New York (5,003), Baltimore (3,929), or Cleveland (2,199). Every time Chicagoans navigate the 227 square miles of their city, they’re unwittingly perpetuating Brennan’s legacy. But until recently one of the only explicit reminders of the man himself was a collection of weathered scrapbooks he carefully collected, which was placed in the care of the Chicago History Museum by Mary Brennan, one of his daughters. Another daughter, Adelaide, lived to the age of 99 and was able to see Ald. Brendan Reilly dedicate the northwest corner of State and Madison as Edward Brennan Way in 2013. Still, few people recognize the name of the man instrumental in rationalizing Chicago’s streets. Compare that to the fate of Daniel Burnham. And that mental landscape persists today. Since Brennan’s system is universal across the city, with 800 numbers to a mile, Chicagoans still use that same mental landscape to get around their city. Raphael Nash was born in the West Side’s Austin neighborhood, but has lived all over the city. He had to learn Brennan’s system, even if he didn’t know it was Brennan’s. And even though most people today use a GPS to get around, Nash says it’s useful to have a mental map as precise as Brennan’s. “Sometimes I&apos;m driving and I don&apos;t need to be fumbling with the phone or anything so I just look up and pay attention to the number,” Nash says. Brennan’s system is so simple that Nash and several other Chicagoans interviewed for this story say it has ruined them for other cities. Now Nash knows who to thank for that. “Thank you, Mr. Brennan,” he says. We have several questioners to thank for inspiring this look into the city’s rational street-numbering system. Jessica Fisch and Paul Toben started us off, but so did Marina Post, a Chicago homeowner. 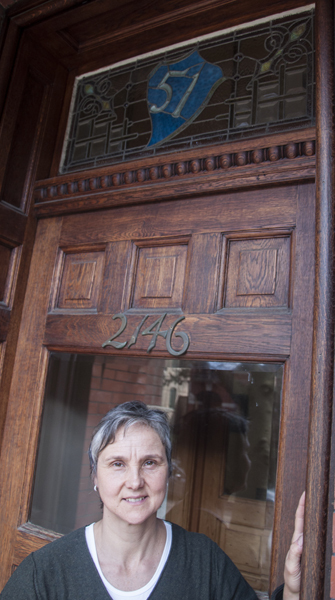 Post wondered why her 1890s home in Wicker Park (today 2146 W. Caton St.) was one of several homes in the neighborhood with stained glass windows displaying lower, outdated address numbers. Post’s is 51. She may as well have been talking about Mrs. Charles E. Pope, who complained about “the burden of four numbers” to the Chicago Daily Tribune during the address change. 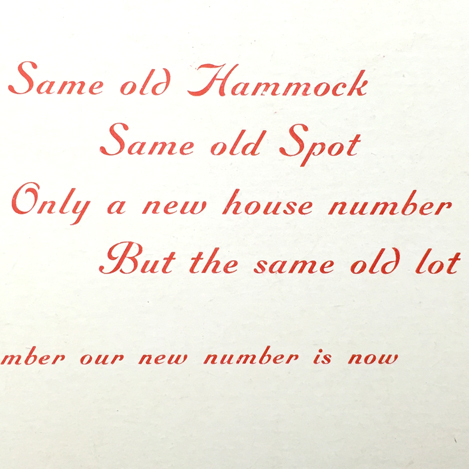 In fact we might owe our questioners’ curiosity to those stubborn homeowners from the early 20th century who kept their old house numbers beside the new, standardized addresses under Brennan’s plan. Without them we wouldn’t have the physical evidence of the pre-1909 system — or lack thereof — that piqued the interest of people like Paul Toben, Jessica Fisch and Marina Post. Chris Bentley is a freelance journalist who reports regularly for WBEZ’s Curious City. Follow him at cabentley.com and on Twitter at @Cementley. Jen Masengarb is Director of Interpretation and Research at the Chicago Architecture Foundation. Follow her at @jmasengarb.